Your anniversary is fast approaching. You have no gift picked out. You’re simply out of good gift ideas. And now you’re stressing just thinking about where you’ll find the time to shop. WE’VE ALL BEEN THERE! 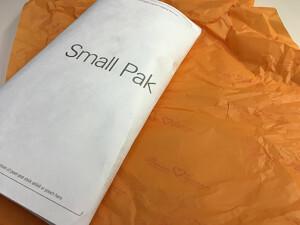 That place where good intentions meet execution and where you could use a little bit of help arranging a gift that will continue to deliver on the high standards you set when you gave her that brilliant diamond engagement ring. Because we’ve all been there, it’s worth mentioning that Brian Gavin Diamonds (BGD) has launched several new collections that are a great match for a gift giving occasion. As online diamond experts, our job is to keep you informed with what’s new and exciting with our favorite online diamond retailers and help you avoid those gift giving conundrums. 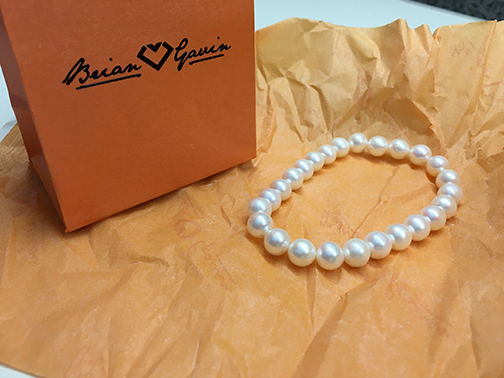 At the Diamond Advisor, we’ve ordered pearls from other online vendors and were excited to do the same with the new BGD Pearl Jewelry collection. 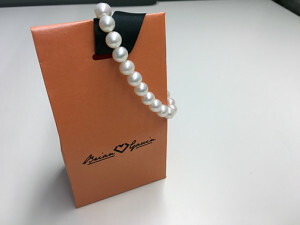 For this online jewelry review, our goal was to find a budget friendly pearl jewelry gift that would be sure to satisfy any woman with discerning taste! Exploring the new pearl jewelry collection at Brian Gavin left us with a positive note stemming from a good selection of pearl jewelry options (roughly 2 dozens). These options ranged from simple black freshwater pearl earrings ($45 USD) to pearly huggies with diamond melee ($2000+ USD) and everything in between. Of the pearl jewelry options laid out in front of us, a large selection of them (8 or 9) was moderately priced and under the $100 USD mark. 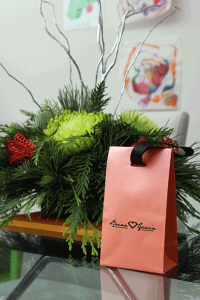 We liked this a lot as it provides for a meaningful gift without the need for a huge budget. Having browsed the selection of gifts, a pearl bracelet caught our eye thanks to its timeless simplicity and elegance (and the fact that it would be a great complement to the pearl studs and pendant we’ve purchased in the past). It’s worth mentioning two options are available when purchasing a pearl bracelet. Baroque pearls are pearls with an irregular non-spherical shape. Compared to round pearls, baroque pearls give more of an “artistic statement” in contrast to a more classic fashion statement that comes with round pearls. Having decided on a pearl bracelet, two choices were available. The first option of freshwater pearls consisted or 7-8mm pearls strung together. The second option was baroque pearls which were slightly larger in size (9-10mm) but irregular in shape. For this gift purchase, we opted for the smaller freshwater pearls as they were uniform in shape and better matched our personal taste. With the final decision made, we added the pearl in our cart and placed our order. 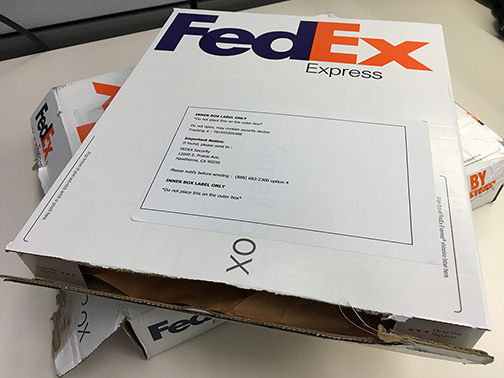 Thanks to free FedEx International Priority shipping, our pearl bracelet arrived the next day. 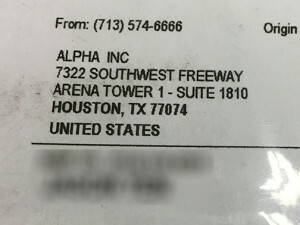 Excited about our unopened packages arrival, it was time for the unboxing. 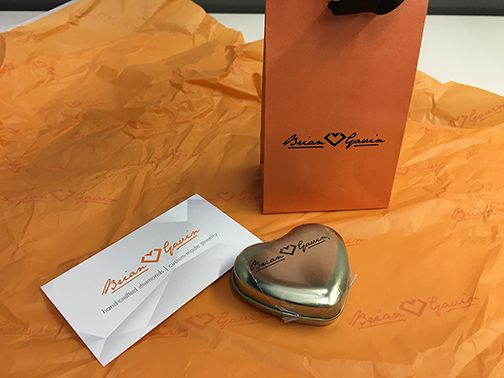 Breaking open our package from BGD left us left with one fun fact – the team at Brian Gavin went to great lengths to ensure our gift arrived in perfect condition. Within our standard FedEx box was a smaller FedEx box… which contained a FedEx protective pouch… which contained our presentation packaging… wrapped in BGD tissue paper. Though only a few seconds of unpackaging, the box within a box approach certainly added a flare of fun to our unboxing! Presentation is often as important as the gift inside. Our pearl bracelet came in a simple, yet elegant, sachet gift bag adorned with a silky black ribbon. 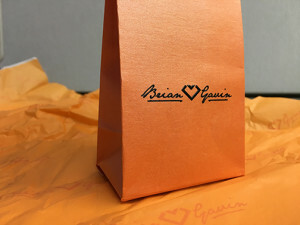 The classic BGD orange color of gift bag and contrasting black ribbon was an instant eye catcher. Unlacing the ribbon through the eyelet of the gift bag gave us our first glimpse of our pearl bracelet. The light rose tint of the pearls against the BGD monogrammed tissue paper backdrop gave us the instant feeling we had a winner with this gift! The 25 pearls that made up the bracelet were uniform and consistent in size with good even lustre – something we expect from high quality pearls. Overall, the combination of color, uniformity and lustre of the freshwater pearls were impressive even when compared side-by-side to more expensive Akoya pearls which we had on hand from a previous purchase. We also immediately noticed the nice weight of the pearls which reinforced the fact that our gift being a solid purchase. Overall, we were extremely happy with our budget friendly, high quality jewelry gift which is sure to delight our loved one. The new pearl jewelry collection offers shoppers a wide and exciting selection of jewelry gifts to satisfy almost any occasion, and more importantly, any budget. Based on our shopping experience with the new pearl jewelry line, the service and quality behind these jewelry pieces is on right on par with the high standards we’ve come to know and expect with the Brian Gavin name. We’re sure you’ll find a unique piece that will bring a smile to her face and an accent to her style.